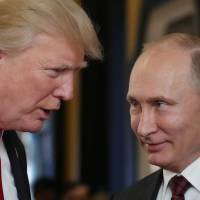 WASHINGTON - U.S. President Donald Trump said Thursday he is considering meeting with Russian leader Vladimir Putin and is sending his national security adviser to Moscow to discuss the idea. National Security Adviser John Bolton will travel to Moscow next week, the White House said Thursday. “We are looking at the possibilities,” Trump said when asked about a possible face-to-face with Putin. Such high-level talks would be scrutinized in the wake of the wide-ranging probe into Russian meddling in the 2016 U.S. presidential election and possible collusion with the Trump campaign. Speculation has been rife in Russian and Western media on the highly anticipated summit between the presidents, which they first discussed in March. The announcement of Bolton’s visit came almost two weeks after Trump said that Russia should be re-admitted to the G7, from which it was suspended for its annexation of Crimea in 2014. The White House said Bolton would travel June 25-27 to meet with U.S. allies in London and Rome, followed by a trip to Moscow. 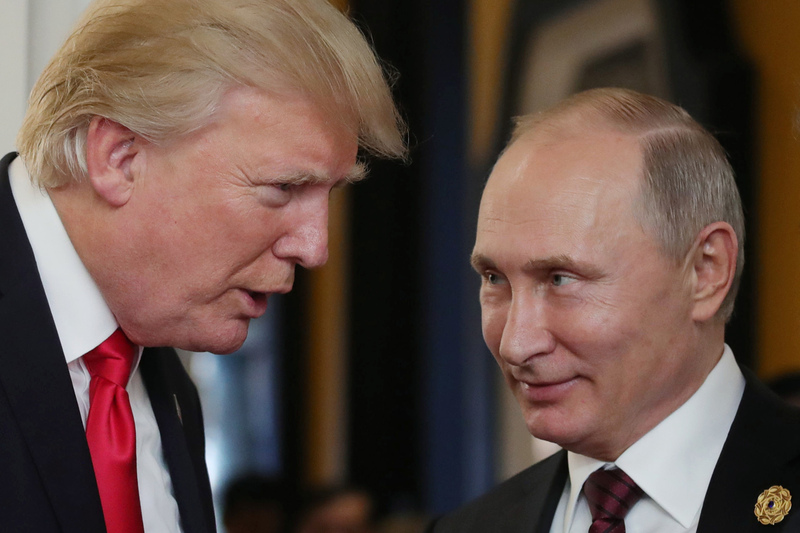 On Tuesday, the Kremlin said there were no plans for the meeting before the July 11 NATO summit in Brussels, which Trump is expected to attend. Trump is due to participate on July 11-12 in the summit before heading on to Britain to meet with Prime Minister Theresa May and Queen Elizabeth II. Earlier this month, Putin said he was ready to meet his U.S. counterpart as soon as Washington gave the green light, adding that Vienna could be a possible venue for such a summit. Despite European sanctions against Moscow, Austria has remained close to Russia and — unlike several other European countries — has not expelled Russian diplomats after an ex-Russian spy and his daughter were poisoned in Britain. Ties between Washington and Moscow have been strained by the Russia probe, as well as the poisoning case and Trump’s decision to pull out of the Iranian nuclear deal. The last, brief meeting between Putin and Trump took place in November 2017 in Vietnam during an APEC leaders summit.